Mirko Filacchioni is an Italian guitarist/songwriter. He has just released an instrumental/rock EP "In guitar we trust" where he combines his guitar with oriental instrument and brass. Mirko Filacchioni is an Italian guitarist/songwriter. He has just released an instrumental/rock EP "In guitar we trust" where he combines his guitar with oriental instrument and brass. Born in Rome in 1980, Mirko started to play the guitar when he was a child. His real passion came out when he discovered the great hard rock bands of 70s. He joined first of all some cover bands and then formed his band composing and playing unreleased songs. 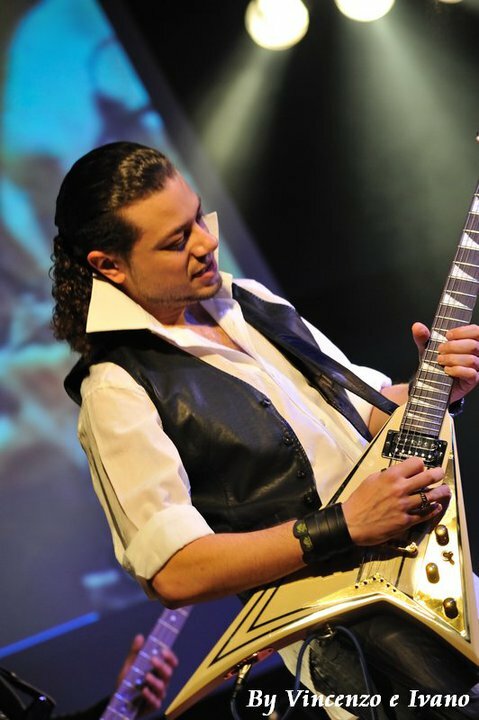 He spent 2 years in the Rock Guitar Academy in Milan and he attended the Steve Vai's master class in Rome. He is inspired by guitarists as Jimmy Page, Eddie Van Halen, Zakk Wylde, Steve Vai and Joe Satriani. Thanks to the passion for these last 2 guitarists and to the difficulties in finding reliable musicians for his band, Mirko started his solo project, of which the EP "In guitar we trust" is part of. The particular combination between rock music, oriental instruments and brass came out from his passion for rock and the listening of 2 songs that are far from rock… Naruto Main Theme (theme song of the cartoon Naruto) and Tank! (theme song of the cartoon Cowboy BeBop). Even though he is just starting out, he has an unusually strong command of his music and has a fully-formed musical identity.